Goodreads says, "Jacquetta, daughter of the Count of Luxembourg and kinswoman to half the royalty of Europe, was married to the great Englishman John, Duke of Bedford, uncle to Henry VI. Widowed at the age of nineteen she took the extraordinary risk of marrying a gentleman of her house-hold for love, and then carved out a life for herself as Queen Margaret of Anjou's close friend and a Lancaster supporter - until the day that her daughter Elizabeth Woodville fell in love and married the rival king Edward IV. Of all the little-known but important women of the period, her dramatic story is the most neglected. With her links to Melusina, and to the founder of the house of Luxembourg, together with her reputation for making magic, she is the most haunting of heroines." Jacquetta, Elizabeth Woodville's mother from The White Queen, has most definitely lived a captivating life. Readers follow Jacquetta through her first loveless marriage to the Duke of Bedford, who simply wanted her for her "magical" abilities. After he died, he left her as a young widow with a great fortune. Jacquetta decided to do something unconventional and marry for love as she has always had her heart set on the Duke's squire, Richard Woodville. After they marry, Richard serves the King and in turn, Jacquetta becomes a good friend to the Queen and becomes one of her biggest supporters. 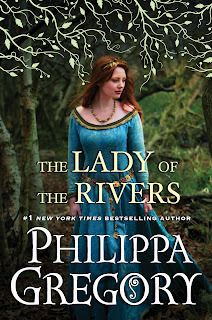 Jacquetta's life is filled with much love, a little bit of magic and a whole lot of suspense, which Philippa Gregory captures brilliantly in The Lady of the Rivers. 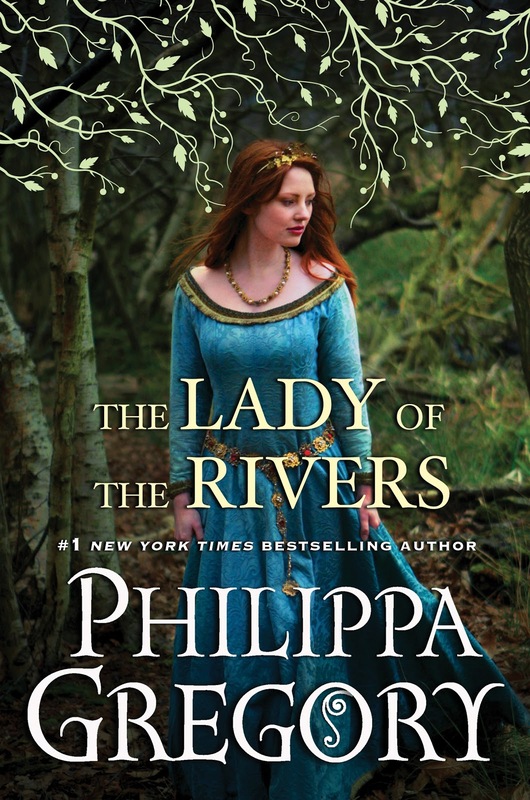 I adored The White Queen and I'd have to say The Lady of the Rivers is just as enthralling. Jacquetta's second sight, her links to the goddess Melusina, her romance with Richard Woodville and her bravery is reminiscent of a fairy tale. It's crazy to think that the character of Jacquetta is actually real! Her marriage to Richard was swoon-worthy and extremely romantic. They ended up having over twelve children (I lost track!) which is an incredible feat, especially since Richard spent a lot of time away at war. The Lady of the Rivers inspired me to revisit The White Queen as this novel ends where The White Queen starts. In fact, I almost wish that Gregory would have published The Lady of the Rivers first. Nevertheless, I am excited to perhaps re-read The White Queen now that I have the dramatic backstory and to read her non-fiction book called The Women of the Cousins' War for an accurate account of the Duchess, the Queen and the King's Mother. Thankfully this book comes out next week and I very much look forward to learning more about their true lives. I thought the Tudor court was deranged, but it's much more crazy dealing with Henry VI. I couldn't believe some of the events that transpired while he was "ruling." It was almost unbelievable and it seemed Margaret of Anjou had a mess to clean up almost daily and always involved Jacquetta, which was a good thing as she was the voice of reason. My heart went out to Jacquetta, because she felt like she had to be loyal to Margaret, but at the same time, she was worried about her family's safety. Gregory is one of my favorite authors--hands down. She brings to life moments in history better than any other author that I've encountered. The Lady of the Rivers is the perfect mixture of history, romance, action, and intrigue. I am rarely disappointed by her novels and with this one, she has hit another home-run. I hear that there will be two more books in The Cousins' War series with the fourth being The White Princess. At the end of the advance copy of The Lady of the Rivers, Gregory said that she is working on a book dealing with the Earl of Warwick's daughters which I believe is going to be called The Kingmaker's Daughters. All I know is I'll read anything Gregory writes. Her books always leave me in awe. *Thanks to Jessica from S&S for sending me this book in exchange for an honest review. I've always wanted to read something by Phillipa Gregory! I'm glad to hear you like her books. I'm definitely going to have to check them out myself soon! This sounds amazing...I've always liked the looks of Gregory's books, but haven't ever picked any up. May have to change that...Does it have to be read "in order", or can I just pick it up and read it without reading the other? 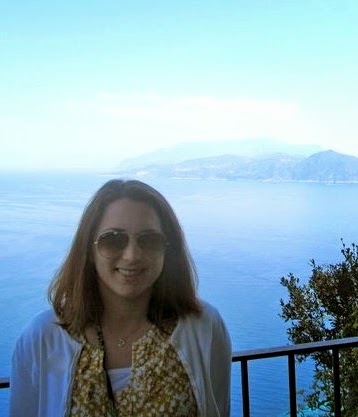 Christy- Thanks for visiting. Gregory is amazing- you'll really enjoy her if you like historical fiction. Leanna- It was def. as good as The White Queen. Thanks for stopping by. Carrie- I didn't enjoy The Red Queen as much as The White Queen. This book is better than RQ....I hope you get your hands on a copy- I definitely think you'll like it. Rebecca- I don't think you have to read them in order. It might be a good idea to start with this one and then read The White Queen. Thanks for visiting! Phillipa Gregory's books seems wonderful, I keep saying that I mean to read her books(and I do mean that) but I just have too many other books to read right now. Wow 12 children? That's quite an achievement! I've only read one of her books but I really enjoyed it, I definitely need to read more of them:) Thanks so much for the recommendation Christina! i love reading Gregory's books & am looking forward to this one! I haven't read any of the books in this series (I've read some of Gregory's Tudor books) but I am very interested in this one. I hadn't even heard of Jacquetta before. Very nice review! 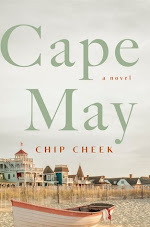 First of all, I am HOOKED by that cover--so gorgeous! I wanted to ask though...I've never read anything by Gregory. Would this be a good place to start, or should I read The White Queen first? I also loved The Lady of the Rivers. It was nice how Jacquetta observed that women taking the lead or carving their own destinies were frowned upon during their time, then comes the rise of her daughter Elizabeth as the White Queen! I shall post my review soon! I have a review copy of this one as well but I"ll admit my expectations aren't very high. I agree with you that her recent books aren't as well done as her earlier ones. Any inaccuracies aside, The Other Boleyn Girl was a good story.